Color by number worksheets - Kids can practice identifying numbers and colors with these seasonally-themed, kid-friendly printable coloring worksheets. 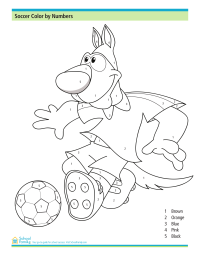 Practice numbers and colors with this soccer-themed color by numbers printable. 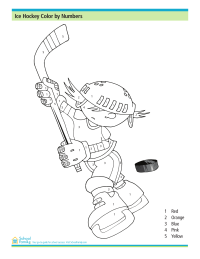 Practice learning numbers and colors with this fun hockey color by numbers worksheet. 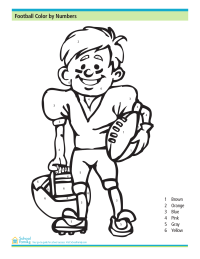 Sports fans will enjoy this football-themed color by numbers worksheet. 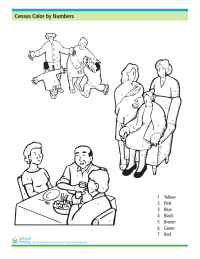 Practice identifying numbers and colors with this family-centered US Census color by numbers. 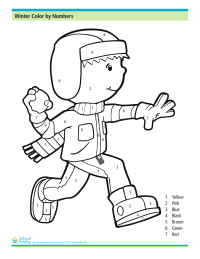 Practice number and color identification with this fun color by numbers worksheet showing a child running and playing in the snow.